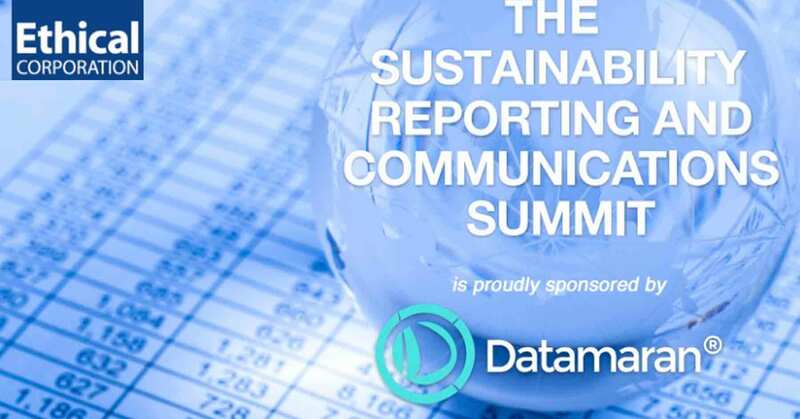 LONDON, Sep.08 –Datamaran is delighted to announce that it has collaborated with Ethical Corporation as an event partner for the Sustainability Reporting & Communications Summit 2017. With an increased pressure from stakeholders for companies to portray their impact, building brand reputation and trust is now more important than ever. Datamaran helps their global client base track non-financial risks and opportunities. This is done through the use of AI. Datamaran presents the first comprehensive solution for non-financial risk management, its technology platform is being used by businesses and investors alike. The Datamaran team consists of passionate change-makers from the sustainability and risk management industry. They combine their domain expertise with the latest developments in AI and big data. The 11th Annual Sustainability Reporting & Communications Summit is the only summit bringing together CSOs, CFOs, and CEOs from the most innovative brands in Europe. They will share their insights so you can go back to the office with practical examples of how to portray your total impact throughout your report. Enter ‘DATAMARAN300’ at the checkout to redeem! Datamaran will also be hosting a drinks reception from 3.00-6.00pm on the Monday prior to the event. Attendees are able to register their interest by clicking the button below.